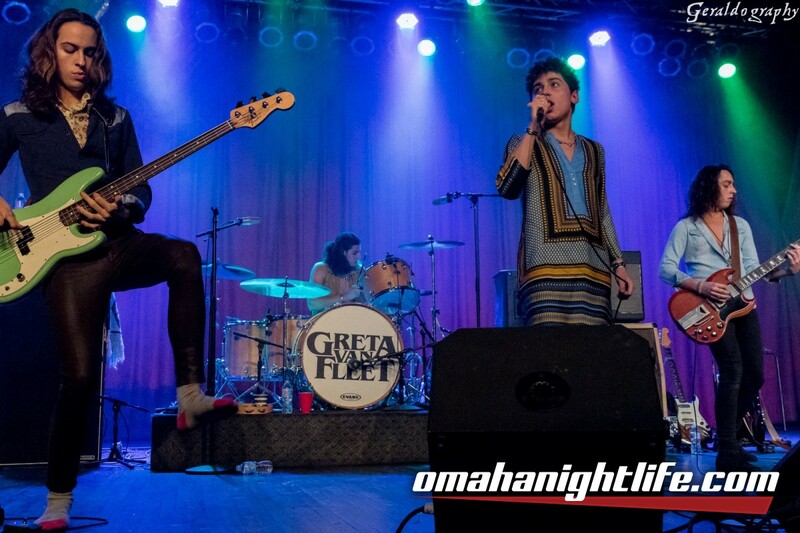 Greta Van Fleet…unique name, and amazing band. The sold-out crowd at Sokol on Saturday night was blessed with a fantastic performance by this band out of Frankenmuth, Michigan. For 90 minutes we were witness to hard rock and roll riffs and vocals that are astounding. Lead singer Josh Kiszka looks like a choir boy and sings like an angel. He makes every note seem effortless and thrilling. The band’s style is often compared to that of Led Zeppelin, which is understandable, but make no mistake, these guys can rock the house with extreme robust energy, and they have taken their abilities to a level that is definitely their own. They are featured routinely on Sirius XM radio, and their tune ‘Highway Song’ has over 5.6 million hits. Take the time to witness the magic yourself – you won’t regret it. This band has class, stamina, talent and longevity written all over them. The sea of attendees at the show crossed over all ages, which is always thrilling to see. Young, old, geeks, freaks, and the oh-so- uniques were all in the house, and no one – I repeat – no one walked away disappointed. This show was everything you would hope for, and so much more. Greta Van Fleet released two studio albums in 2017 and they have been inundated with acclaim ever since. Nearly every concert they have on their tour is sold-out. These guys are so full of flair and aptitude, that it was an honor just to be in the same building with them. Opening for Greta Van Fleet was an alternative band out of Tennessee titled Skyway Man. The tunes were trippy and interesting. James Wallace is the lead singer and his entourage includes 2 guitars, drums and a saxophone. He definitely pushes some interesting buttons, and his lyrics are thought provoking. It was an interesting segue into the main event, but the audience was appreciative of their one-of-a-kind presentation. Thank you to Sokol Auditorium for a night to remember for a very long time.